A wonderful discovery: some beautiful (and now rare) maple-leaf fencing, just like we used to have at the Manse in my childhood – only better-maintained. Almost two years ago, very early in our 21st-century Manse tenure (as opposed to my mid-20th-century childhood in the same house), I did a post (it’s here) lamenting the long-ago loss of the wire fence with decorative metal maple leaves that once enclosed the front portion of the yard. And I asked: has anybody seen any maple-leaf fences like that anywhere? Now, this find is not 100-per-cent what I had hoped for; what I really wanted was to stumble upon a few rolls of such fencing for sale at some flea market or other at a rock-bottom price. Obviously the fencing at the handsome house on that nearby rural road is not for sale. But seeing it there reminds me of how great that vintage fencing was, and what a regrettable mistake it was on whomever’s part back in the mid-1960s to have got rid of it at the Manse. Which reminded me of a kind offer a while back by my cousin Bruce (I wrote about that, and a bit more about my longing for the maple-leaf fence, here) of just such a gate for the Manse. Okay, the gate Bruce has kicking around is not quite as ornate as this one, but it’s the same general idea (and vintage). 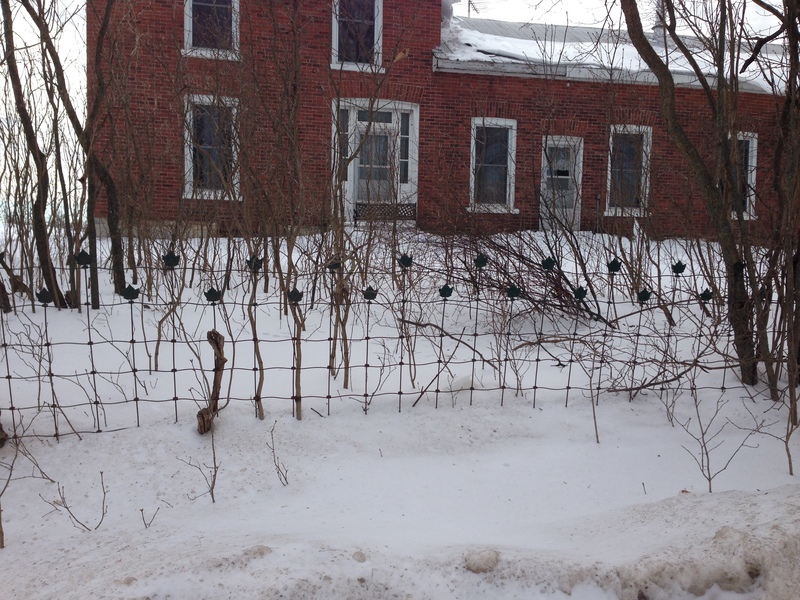 Truth be told, vintage fencing is pretty far down the list of priorities for the Manse. (A renovated kitchen to replace the tiny pantry being pretty close to the top. Followed by approximately 38,212 other things.) But as an eternal optimist, I hold out hope that it might happen someday. And just finding an example of that fence still extant, and in our very own corner of Hastings County – well, it just makes me happy. This entry was posted in Uncategorized and tagged Madoc, maple leaf fence, Tweed by Katherine Sedgwick. Bookmark the permalink.